Een hartekreet: Faculteit Bouwkunde zonder gastdocenten? Editorial Advice Edo Beerda Contributors Jamal van Kastel Gezicht op Delft@ Mauritshuis Cover A History of Utopian Tradition by Carlijn Kingma see also p. 03 Editorial Advice Board Robert Nottrot Pierijn van der Putt Marcello Soeleman Ivan Thung Linda van Keeken Next Deadline 18th of April Bnieuws Volume 50 Issue 07 Printed by Druk. Tan Heck 1.350 copies © All rights reserved. Although all content is treated with great care, errors may occur. In our last issue, we celebrated the 50th anniversary of Bnieuws and the fine tradition of writing in architecture and design. The buildup of materials for this issue seems to compel a pendulum swing, determined to balance our narrative of the BK life—that we live, work and play with our visual craft as well as our verbal one! Between the two V’s, the visual one is no doubt our very own specialisation. We diagram our way out of complex design argument; it is no less challenging than visualising chemical molecules. With machine-rivalling precision, our construction drawings are engineering blueprints. Perspective sketches can be as poetic as impressionism, and as narrative as comics. Design sketches join the abstractness of maths with the concreteness of craft. What a strange mixture it is! We can never learn enough about this craft, just like architecture and design is a life-time exploration. —So here is our exploration in a bit of both: With the conclusion of the Van Eesteren Chair, head of the chair Frits Palmboom shares his experience in drawing over the years. Former researcher Tiwánee van der Horst talks about making Architecture as Painting in the City as Canvas. Stylos, the student association, writes about their workshop, Visueel Denken on turning ideas into images. Peter Russell, our dean, has started a column with Bnieuws to share his ten rules for an architect career. Nadine reports back from the BEP event and its many unresolved issues. Meanwhile, we also bring to our readers’ attention the ongoing discussion on inclusiveness in the Faculty, as well as the sustainable architecture fighting air pollution worldwide. 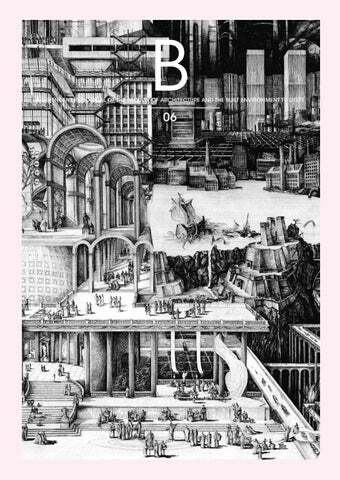 Last but not least, we are glad to have Carlijn Kingma’s drawing as the cover for this issue. It could not be more appropriate. (For the stories behind this drawing, please follow our next issue). Keep on drawing, keep on breathing! To do / FEMINISMEN IN DE ARCHITECTUUR Van de ongeveer 650 auteursarchieven in het Nederlands Rijksarchief voor Architectuur en Stedenbouw–de grootste architectuurcollectie ter wereld–staan slechts vijftien op naam van een vrouw. De TU Delft Feminists maken hun opwachting met een performatief statement, waaraan jij kan meedoen als je mailt naar tudelftfeminists@gmail.com. Architect Afaina de Jong reflecteert op de vraag of er zoiets bestaat als ‘feministische architectuur’ en als stedenbouwkundige geeft Riek Bakker haar visie op feminisme binnen de architectuur vanuit haar ervaring als oprichter/ directeur van meerdere bureaus. Workshop / MILANO BOVISA AREA The 3rd Erasmus+ Wicked Workshop on architectural and urban sustainability (with ION MINCU Bucharest and POLIMI in Milano) will focus on the former industrial site of Bovisa, Milano. Participants can earn 3 ECTS and apply for funding. To apply, please send your C.V. and a 500-word motivation letter to N.SanaanBensi@ tudelft.nl before April 12th. Both bachelor and master students are welcome! Conference / INDESEM 2017 APPLICATION “Crowded”—INDESEM 2017 will address the aftermath of densification of cities. The one-week conference consists of a design project involving eighty students from around the world, lectures, and discussions with the speakers, including Mauricio Pezo, Sofia von Ellrichshausen and Winy Maas. INDESEM (the International Design Seminar) is a biennale set up by students in 1962 to explore beyond the curriculum constraints. Please visit indesem.nl for more information (application deadline: April 14th). It is becoming a norm: sustainable architecture. It is important to plan ahead and consider the future inhabitants of the world when we are making interventions in cities and urban areas. A balance between ecological, economic and social interests is necessary. A lot of the time the focus is on saving energy (and money), producing clean energy, using sustainable materials, renovating instead of building new houses, creating a pleasant interior climate… It is included in the role of the architect to consider all these aspects. But what about the exterior climate? The air surrounding the buildings we design? Is it slipping from our minds that even though the buildings we create may be sustainable and aiming for zero emission, it is of little use when the future air pollution keeps reaching new highs? breached its annual air pollution limits only five days into the new year.2 Action needs to be taken, in both preventive as improving ways, and already is being taken around the world. But how can architects contribute to cleaner air in the future in their architectural and technological way? This article focuses on several examples of architects and designers. Some of them are already finalised, others are being planned, which serve for some great inspiration. How can they contribute to a future with cleaner air, not only for now, but also for future generations? Vegetation There are several architects who combine plants and architecture. It is a way to help improve the air quality in a part of a city. An example of this is the vertical forests from Stefano Boeri Architects. They designed a model for vertical densification of nature within the city that operates in relation to policies for reforestation and naturalisation of large urban and metropolitan borders. through catalytic oxidation. This poem has shown how science and the arts can work together to address the issue of poor air quality in our towns and cities.10 Awareness An important point of all these projects is not only helping the environment, but also spreading awareness about this issue. To let people know that this is a serious problem and something needs to be done. The previous projects are only a few of them. Hospital Manuel Gea Gonzalez (left) and â&#x20AC;&#x153;In Praise of Airâ&#x20AC;? poem (right). Images by prosolve370e and Sheffield University. < From left to right: The Bosco Verticale, the Atlas Hoi An Hotel and the Smog Free Tower. Images by Stefano Boeri Architects, Vo Trong Nghia Architects and Daan Roosegaarde Architects. During his time as head of the Van Eesteren Chair, Prof. Frits Palmboom has inspired us to sketch, to learn and to think in the context of urban design. What is the language that we use to depict and design? What are the tricks and traps of this instrument? What is its connection to the phenomenal world that we shape? His perspective on linesâ&#x20AC;&#x201D;the agent of representation, form giving and spatial narrativesâ&#x20AC;&#x201D;leads us to the centre of design. (Excerpts from translated project text.) In other words, it’s reading the situation by tracing. 1, 2 The mind uses sketches as external memory to help it sort out the categories and relations of the lines. As it does so, it builds up the internal knowledge of the situation into a coherent representation. And the latter is the basis of design decisions. Building up this basis is a difficult task in terms of space, because the source of spatial information—the map—is abstract on the urban design scale. When do lines of physical edges turn into abstraction of three dimensional things? When does the order of multiple lines imply an object? When are lines not physical objects at all? Compounding the issue is the intricate Dutch ground composition. Cities and new infrastructure sit on top of old structures. Try to find dikes, canal connections and height differences on the map and you will know the meaning of despair—modern maps hide them so well. Why should uniform criteria be applied to all types of landscape? If contour lines are invented for mountains, what can be done for the Dutch ground? Maps have rationalised everything. Yet the lines whisper of different identities and spatial implications. A line can be the edge of a road, then it becomes a slope; some lines are indifferent to one another, others seem to imply a shared origin … The neat appearance falls into chaos in the mind’s eye, but beneath the chaos is something that makes sense. The mind needs some help to grasp the complex situation. In fact, from its origin, the Dutch layer approach can be differentiated from McHarg’s 5 layer approach. While the latter is a computational method of synthesising geographical information—involving matrices and value gradient—the former is actually a perspective to understand a site by decomposing it into layers. Such a cognitive strategy is inspired, and necessitated by the representation problem of the Dutch ground. < Sketches made by Frits during the interview at Espresso Bar. Lines Serve Two Masters As a designer, Frits is strongly opinionated about the difference between design and planning. But why? Aren’t they both indispensable to the cross-scale operation of urbanism? But you would be mistaken to dismiss it as a professional bias. The difference is not about the scope or scale, but about the cognitive processes in design and planning. Essential part of being a good designer is knowing that difference. ravines and move houses to make that line realised. All this violent remake of the landscape hinges on an arbitrary definition: a line is (the easiest way) to represent a connection. Such things are not too surreal to happen. Designers often drop their arbitrary symbols on the face of the land—sometimes for clear reasons, such as religion or marketing effects. But to be oblivious to the concept of context is spatial illiteracy. The way “illiterate” designers meddle with the space is like how people who don’t speak Chinese try to edit a Chinese text based on the aesthetic appearance of the characters. That is why it is good to know that lines serve two masters. Symbolic lines illustrate explicit and abstract ideas; they help us plan what to do with our object. Representational lines depict specific forms; they give concrete forms to ideas in the given context. The double life of lines can be deceptive, but it is also the foundation of the transformation between planning and design. As long as design relies on visual media, designers work with both kinds of lines. So how do lines serve design? In Frits’ view, design is a conversation with the spatial context. The conversation can only begin when the designer understand the logic of the context. That’s why designers must first read the lines—re-enact their movement to grasp the meaning and possibilities of the forms they compose—as described in the last section. 2, 8 “When designers sketches, their lines interact with lines of the context. New lines also interact with old ones. This gives the sketch a kind of ambiguity. In the ambiguous lines, designers see new forms, new relations and new possibilities. It takes their ideas further. In other words, as designers put their ideas on the paper, they also get feedback and inspiration from it. This process is a central part of designing.” Frits’ reflection connects to the line of thinking embraced by many design theorists and cognitive scientists. Schön and Wiggins 9 calls it the “reflective conversation with the situation”. Goldschmidt 10 reveals designers discover new forms in their ambiguous sketches by alternating between the modes of “seeing as” and “seeing that”. The Meaning of Lines The poetics of space lies in the experience of it: the intriguing views, the movement on the terrain, the rhythm of changing surroundings … On architectural scales, designers construct direct experiences one episode after another; but on urban scales, designers have to think differently. Je bent druk bezig met je ontwerpopdracht en hebt een prachtig idee. Maar hoe kun je dit idee visualiseren? Visueel denken, we doen het allemaal. Samen met ‘design thinking’ proberen we uitgangspunten, complexe concepten en abstracte ideeën weer te geven. Ontwerpend Denken in samenhang met ‘Visueel denken’ is voor ‘De jongens van de tekeningen’ het gereedschap om abstracte of complexe ideeën zichtbaar en deelbaar te maken. Tekenen wordt nog steeds gezien als de eerste stap om je ideeën te visualiseren. Aan de hand van een casus over architectuur werden in groepjes ideeën visueel gemaakt en gepresenteerd op posters. Tegenwoordig wordt veel gewerkt met renders en digitale programma’s. Is een programma als Revit de snelste manier om onze ideeën te visualiseren? Zeggen renders nou eigenlijk wel wat we willen zeggen? Moeten we voorzichtig zijn met het gebruik van renders? Bij deze masterclass heeft een lezing plaatsgevonden van @Hok waarbij een ontwerpproces van schets tot render werd gepresenteerd. Liviu van @Hok heeft aan de hand van zijn eigen werk en ervaring met software een ontwerpproces van schets tot render gepresenteerd. Daarbij heeft hij aansluitend op ‘De jongens van de tekeningen’ het belang van schetsen aangekaard. “Ontwerpen doen we uiteindelijk fysiek op papier en niet in een computer programma,” aldus Liviu. Daarnaast werd het belang van een goede presentatie bij architectuur prijsvragen besproken. ‘Bij een prijsvraag worden soms 200 posters ingeleverd, om op te vallen moet je inzicht krijgen in de visuele presentatie die de opdrachtgever herkent en waardeert’. Mede dankzij ‘De jongens van de tekeningen’ en @Hok werd deze masterclass mogelijk gemaakt waarbij studenten een inspirende dag hebben gehad. Hou de Stylos website in de gaten voor meer events. Een jaar geleden studeerde Tiwánee van der Horst af met haar onderzoeksproject “The City as Canvas, Architecture as Painting – An Intuitive Approach to 3D Printing” in Explore Lab. In dit project onderzocht ze de mogelijkheden om schilderkunst te verbinden met de manier waarop architecten ruimte creëren. Door middel van een techniek die vergelijkbaar is met 3D-printen vertaalt ze expressieve schildertechnieken als de toets, de veeg en de druiper in driedimensionale vormen. Het “action painting in 3D” is een treffende combinatie tussen hedendaagse technieken en ambacht. Naar aanleiding van haar succesvolle crowdfundingscampagne in februari, sprak Bnieuws met Van der Horst over het project en de toekomstige ontwikkelingen. Onderzoek naar de invloed van beweging op het werk, met v.l.n.r. lichaam, arm en hand. Tekeningen door Nadia Pepels. kinderen kunnen maken. Op constructief vlak zouden kolommen bijvoorbeeld kunnen worden gecreëerd vanuit het laten vallen van een materiaal: de rechte lijn wordt dan gecreëerd door de druppel, die onderhevig aan de zwaartekracht onderweg stolt. Ook haal ik inspiratie uit weef- en vouwtechnieken om tot sterke structuren te komen. Je tekeningen waar de beweging van een schilder gelinkt wordt aan je machine doen denken aan eerder gemaakte relaties tussen archietctuur en ‘performance’ of ‘events’, zoals het Triadisch ballet van Oskar Schlemmer en de Manhattan Transcripts van Bernard Tschumi. Hoe heeft dit invloed gehad op je werk? Ik leg de verbinding tussen schilderkunst, sculptuur en architectuur, waar de drie beeldende kunstvormen tijd, ruimte en beweging tot uiting laten komen in een materieel object. Het gaat voor mij niet per se om het eindproduct maar om het moment van het maken. Ik haal daarom inspiratie uit de ‘performance’ die ontstaat door de beweging van een schilder—of het nou het detailwerk van het pointillisme is of de uitspattingen van action painting. Beweging wordt geleid door ritme en balans en dus kunnen we ook inspiratie halen uit dans. De fotografie serie Mirages van Alexander Yakovlev heeft me heel erg geïnspireerd. De manier waarop hij de interactie tussen mens en materiaal vastlegt is heel intens. Wat als we deze intensiteit van dat moment niet alleen in een foto kunnen vastleggen, maar ook in het materiaal, precies op dat moment dat het materiaal valt, stolt en zijn vorm in neemt in de ruimte? Op dit moment ben ik aan het kijken op welke manier de dansdiscipline kan worden ingezet. Of andersom: hoe dans op een nieuwe manier tot stand kan komen. De beweging van de danser kan richting geven aan het materiaal, maar het materiaal kan ook richting geven aan de danser. Zo geeft de danser vorm aan de ruimte. Ik ga dit de komende tijd samen met een danser onderzoeken tijdens de kunstresidentie in Kunsthuis SYB. De resultaten zullen tijdens de vernissage op 29 april worden tentoongesteld en blijven tot 14 mei in Beetsterzwaag, Friesland te zien. Wat zijn de volgende stappen in de ontwikkeling van de machine? Ik ben op dit moment met de tweede versie aan het experimenteren en bekijk hoe de interactie tussen lichaamsbewegingen, de machine en het materiaal verbeterd kan worden. De basis is nu gelegd in het balansmechanisme, dat het mogelijk maakt om lichte bewegingen te maken. De volgende stap is om controle te krijgen over het stollingsproces. Los van de technische aanpassingen gaat het vooral om de samenwerkingen die ik aan ga. Ik blijf nieuwe verbindingen zoeken binnen de wetenschap en de kunst om het idee in zoveel mogelijk disciplines te laten doorklinken. Daarnaast wil ik de machine graag inzetten voor educatieve doeleinden, waarbij leerlingen hun creativiteit niet gelijk vast leggen in de computer, maar de kans krijgen om vanuit hun lichaamsbeweging vaardigheden te ontwikkelen en hun creativiteit te uiten. Het is belangrijk dat er omgevingen zijn waar betekenisvolle experimenten en exploraties gedaan kunnen worden. In Explore Lab heb ik mijn afstudeerjaar als een leerzaam, speels en vrij jaar ervaren. Ik geniet nu nog steeds van de inspiratie en ruimte die mijn begeleiders me toen hebben gegeven, daarom zet ik dit graag door. Bedankt daarvoor, Robert, Martijn en Jan! Meer informatie over The City as Canvas en de vernissage vind je op tiwaneevanderhorst.com. Student Association Stylos organized an information event about BEP last month. For those who are not yet familiar with it: BEP stands for “beroepservaringsperiode” (in English: Professional Traineeship). Since 2015 it is mandatory for BK students from the master tracks Architecture, Urbanism and Landscape Architecture who want to enrol themselves in the Bureau Architecten Register (in English: Architect Registration Office ) to participate in this two-year traineeship. The information moment was meant to clear the air and hopefully let students leave without any questions. After these numbers we get to listen to a student who is following the PEP integrated programme and one who is doing the independent route. Listening to students from the two different routes explaining how they experienced the BEP period and how they managed it gave helpful insights and a better idea of how to approach the BEP programme. One of them stated that after five years of university studying Architecture, they were still not an architect, but a designer. These two speakers were by far the most interesting to listen to. They were followed by presentations of architecture firms, that found it necessary to start with some much needed promotion material. Then, out of the blue, seven reasons are listed why the BEP is useful like before we go to the actual Q&A, even though the first speaker made clear at the start that today was not meant for discussing the reasons for BEP. After this short auction we have finally reached the Q&A. It was disappointing to see that this part was rushed. The audience was told the event was over after only four main questions while people weren’t done questioning yet. One topic addressed by a student was the finances of the BEP, a big barrier for most students. All speakers were asked to be more explicit about it. The Bureau Architecten Register only responded that they couldn’t give more information than presented today. They are only obliged to charge students 960 euro’s for three meetings. Another question was if there was a possibility to do the BEP abroad for two years. After an initial ‘in principle, yes’ it became clear that all meetings find place in The Hague and your mentor has to be registered in the Netherlands. It would not be practical to do it abroad. It is also not possible to follow modules online (for the abroad option). Maybe some universities will present a module online, but the BEP is meant for practice, not for education. There is, of course, a benefit of an internship before starting out working as an architect. We should acknowledge the existing gap between education and practice instead of ignoring it. What is exasperating about the BEP, is the way things are presented to students. There are still unanswered questions, there is only one provider for the integrated programme, and there is financial uncertainty as to how to pay for it all. This bad communication, incompletion and expensiveness was not cleared up in an effective way at all. The Q&A could have been very helpful; but the focus should have been on the questions of the audience. The programme manager of BEP from the Bureau Architectenregister states that they know this programme is not popular. Yet no one seems to make an effort to change that. It is incomprehensible that two years after the start of the BEP (the first diploma has been handed out at the beginning of this year) there is still no complete clarity for students. Despite the lack of clear answers after two hours, it was a valuable contribution to see the work and process of the brave students who tackled the BEP before the rest of. And the questions that where presented in the beginning? These were the answers according to the presentations: “Do I have to do it?” A simple and short yes. “Why should I?” Because it’s obligatory. “What does it cost?” No clear answer. “Can I work at a firm without having the title?” This was not addressed Do you want to voice your own opinion about the BEP or other topics? You can use our anonymous platform, Het Grijze Ei, for voicing your thoughts. FACULTEIT BOUWKUNDE ZONDER GASTDOCENTEN? Tekst Gastdocenten Namens alle gastdocenten publiceert Bnieuws onderstaand artikel waarin ze hun zorgen uiten over het nieuwe beleid van de Faculteit om gastdocenten te laten werken als declaranten met een nulurencontract. per jaar geven. In januari is het CvB van de TU akkoord gegaan met een uitstel van de invoering tot 1 juli 2017, maar de gesprekken met de faculteit hebben tot nu toe nauwelijks iets opgeleverd. De faculteit handhaaft haar standpunt van november, aangevuld met de belofte van een vooralsnog onbekend aantal vaste deeltijdaanstellingen. Men zegt niet anders te kunnen omdat er geen zicht is op een modelovereenkomst voor het universitair onderwijs in de onderhandeling met de Belastingdienst. Daarmee is het einde van de gastdocent een feit. Wij zien op dit moment nog twee scenario’s die ‘future proof’ zijn: óf de faculteit richt haar organisatie én onderwijs in conform de geldende norm - en zoals andere onderwijsinstellingen - met vaste (deeltijd) medewerkers, óf de faculteit bevecht, wellicht samen met andere ontwerpopleidingen, haar unieke positie in de universitaire wereld bij de minister en de Belastingdienst. Het eerste scenario sluit aan bij de steeds strengere eisen aan docenten zoals de BKO (BasisKwalificatie Onderwijs) en ook de verplichte beroepservaringsperiode (BEP) waarin afgestudeerden alsnog praktijkkennis op doen. Het tweede scenario is afhankelijk van politieke en maatschappelijke druk maar onderschrijft bovenal de koers waar Bouwkunde al jaren voor staat en is op zijn minst een poging waard. Wij begrijpen de uiterst moeilijke situatie waarin het bestuur van de faculteit zich nu bevindt, maar vinden het onredelijk en onacceptabel dat de individuele gastdocent opdraait voor het oplossen van de problemen. Wij hopen in samenwerking met de faculteit te komen tot een werkbare oplossing voor Bouwkunde MET gastdocenten en daarmee met een bevlogen inzet van kennis, ervaring en het plezier van het maken, voortvloeiend uit de praktijk. Geschreven door Jan Hoffmans, Mathilde Peen, Hans Stotijn, Ruth Visser Bob van Vliet en Luc de Vries. < Image by Egbert Stolk. Dimensions: 210 x 178 x 3 mm (lxbxh). •	drag suit—a swimming trunks designed to increase drag in the water; •	tempo-trainer—used under a swimming cap, beeping at a certain pace. They are the artefacts designed to improve certain aspects of swimming. The main aim is to improve power and to reduce drag, which is essential for peak performances in competitions. In competitions, you’re allowed to wear a race-jammer (a type of tight swimming trunks), swimming goggles and a swimming cap. So, most of the above artefacts are used for training purposes only. For me, tools I use in design are similar to the artefacts I use for swim training: they are first and foremost training tools, and they help me master certain design skills. Once acquired, the design process is becoming like a competition: relying less on design tools and more on expertise acquired by intensive training. In both, getting into a flow is the key to peak performances. What role do artefacts supporting your design process play? Do you use them for training purposes only? Do they strengthen the power of your design? Do they reduce design-drag? And, do they support you getting into a flow? For the next Artefact I would like to nominate Remon Rooij. Last month, the Faculty’s student associations and the Faculty Student Council (FSR) organised the first Ground for Discussion (previously “Room for Discussion”) in a cosy setting in the Orange Hall: an initiative to ‘open up discussions on topics that matter to all students and staff in the Faculty’. The topic of this first event was Inclusiveness. TU Delft, as well as our faculty, values diversity and intends to be an international institute where a welcoming environment and equal opportunities are provided to all students and professors regardless of their cultural backgrounds and gender. Ground for Discussion invited all involved within our faculty to (re)consider if that is actually happening here. from different groups of people can be heard.’ Last February, Ground for Discussion launched their initiative by a lunch event. In order to prepare for the event, the organisers held several interviews with teachers, students and staff from different departments of our faculty. The conversationts were accompanied with an online survey, with statements such as “gender does influence my studies/work” and “most of my friends are the same race as I am”. The Event After a warm welcome by Catherine Koekoek, chair of ARGUS Architecture Student Association, the importance of an inclusive environment at all scales (internationally, in the Netherlands and Delft, at TU Delft and BK City, and even in the studio spaces) was shortly introduced. A short follow-up discussion on the premise of the interviews and online survey shed some light on the different topics that were to or could be discussed during the event. Although there were just 41 responses to the survey, it certainly provided a good starting point to open up the conversation. After the introduction, the group of about 40 people got randomly split into several smaller groups of about six to eight people. This division not only made it possible to continue the predecessing discussion in more depth, it also provided a safe space where people less comfortable speaking in public were given a voice. Each group was moderated by one of the organisers and other interested people, who asked the participants to answer questions about inclusiveness at BK City, such as “where and when do you feel excluded at our faculty?” and “where do you feel at home?”. At the end of the event, these conversations were reviewed with in the full group again, providing room for people to react to issues that played a role in other groups. The Discussion An issue among students was the different treatment of Dutch and international students in the master. From the very beginning—the moment of applying to study at our faculty— the two groups are treated differently. While international students are filtered by a portfolio, a motivation letter and a language test, Dutch students who have completed their bachelor at a TU are permitted without any further consideration. This not only leads to inequal entry levels (after all, internationals are carefully selected while the Dutch are not), but also an unbalanced continuation of the education. At the start of their master’s, international students have thoroughly reflected on their process, abilities, and future goals as well as proven their skills of the English language, while Dutch students can just continue what they were doing without the blink of an eye. On the one hand, some international master students feel like they had to unjustly prove themselves over Dutch students, mentioning that in other (European) countries applying with a portfolio is mandatory for all students. On the other hand, some Dutch students expressed a feeling of fear of falling behind in their master’s or when applying for a job, since they lack the experience of making a portfolio and being forced to think about future plans. Ground for Discussion (previously: Room for Discussion) turned the Orange Hall into a cosy environment for their first event. in BK City? Wouldn’t a change in our Dutch culture of tolerance to a culture of acceptance and empathy be more favourable for all? Shouldn’t society be more inclusive by opening up our hearts, creating an empathetic environment where all kinds of people can thrive? Of course there is a paradox here. If society is empathetic, and a certain individual is not as much, can (and should) we then be empathetic towards this non-empathetic person? It certainly provides further ‘Ground for Discussion’. If people stop being silent and reserved, start to open to others about their own thoughts and listen to others, perhaps suitable solutions can be created to the diverse range of issues at hand. Hopefully the events of Ground for Discussion will be a catalyst in the process of making BK City a completely inclusive place where people feel comfortable to be whomever and do as however they please. As Koekoek concluded: maybe we should start by not defining ourselves by gender, sexual orientation, race or cultural background, but rather by acknowledging diversity and many layers in and of ourselves in order to open up our minds for others as well. If you have any ideas, comments or solutions, don’t hesitate to e-mail to groundfordiscussion@gmail.com. Charlotte Ros speaks on behalf of TU Delft Feminists about a call for inclusion and diversity at the Faculty. about how to proceed. Each option had pros and cons, but on one (fateful) day in July 1990, I put two strips of masking tape down on the floor of my apartment to divide the world into four quadrants. I named each quadrant for the four cities I was thinking of starting my career in: Saint Gallen, Toronto, Halifax, and Cornell. Then physically stood in each quadrant and asked myself “Given I have chosen the city where I am standing, how much regret will I have in ten years for not pursuing one of the other options?” I signified this one, two or three pennies. After the process was over, the most pennies were there in Switzerland. It was a way to be honest with myself to do the thing that was perhaps the most challenging, but also the one that I did not want to look back later on in life and have regrets about not doing it for whatever reason. We all face decisions every day and most are not as momentous as the one I had on that July day 27 years ago. However, the litmus test of “What would I regret most not doing” is a good way to be honest with yourself about what it is that you really, truly want. I ended up getting on an airplane to Switzerland not knowing anybody and not knowing any German! To quote Robert Frost in the Road Not Taken, that has made all the difference. NEXT EDITION 07 Designers and planners are culture-makers through the construction of our material world. 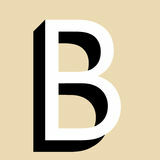 Next issue we look beneath surfaces for symbols, metaphors, and expressions of identity.